Millette, Dominique and Marc-André Gagnon. "Franco-Ontarian Flag". 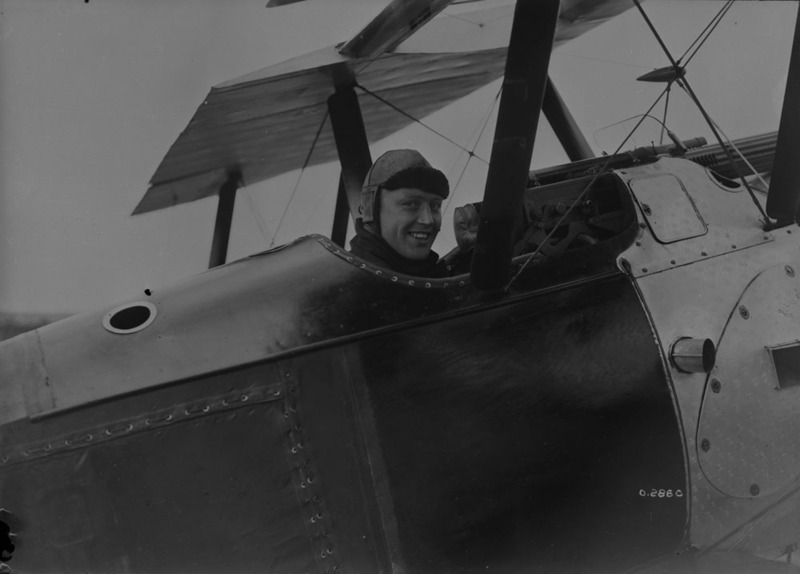 The Canadian Encyclopedia, 21 September 2018, Historica Canada. https://www.thecanadianencyclopedia.ca/en/article/franco-ontarian-flag. Accessed 21 April 2019. Flown for the first time at the University of Sudbury on September 25, 1975, the Franco-Ontarian flag symbolizes both the ruptures and the continuities in the history of the linguistic minority it represents. Designed by Gaétan Gervais and a group of students, the flag was adopted gradually by the Franco-Ontarian community over the course of political struggles before being officially recognized in 2001 by the legislative assembly as the emblem of Ontario’s francophones. The project of creating a distinctive flag for the Franco-Ontarian community took root in the 1960s. Prior to then, the Carillon-Sacré-Cœur flag and the fleurdelisé (the flag of Québec) had been used in expressions of religion and identity (see Fleur-de-lys). However, as a result of increased nationalist sentiment in Québec, the fleurdelisé came to be increasingly associated with Québec. This flag fell into disuse in Canada’s other French-speaking communities. Intended to marry tradition with modernity, the design was reminiscent of the Carillon-Sacré-Cœur, the symbol par excellence of clerico-nationalism. These aesthetic choices were not trivial and were in line with the conduct of Ontario’s Saint-Jean-Baptiste societies in political matters: being rooted in history, it played on elements shared by Québec and minority populations. In the lead-up to Canada’s centennial celebrations, there was a desire on the part of the Fédération to make the use of its proposed flag widespread among schools, municipal councils, parishes, and citizens for Saint-Jean-Baptiste Day, leveraging the flag debate in the House of Commons (1964). However, the flag saw little uptake outside the walls of the Saint-Jean-Baptiste societies. Amid the “cultural revolution” that was unfolding in French Ontario at the turn of the 1970s, the proposal was soon forgotten. 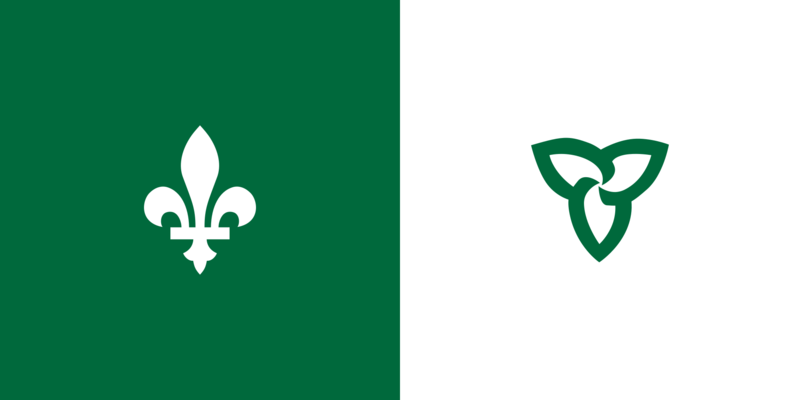 The current Franco-Ontarian flag, the second symbol adopted by francophones outside Québec after that of Acadia in 1884, can be recognized by its white fleur-de-lys on a green background and white trillium with a green border on a white background. The fleur-de-lys symbolizes the French-speaking community, while the trillium represents Ontario; the green stands for summer and the white for winter. “It all started in a small group, and defining the flag took some time.” This is how Gaétan Gervais, professor emeritus at Laurentian University, recalls the events that led to the birth of the flag. The Laurentian University history professor had been toying with the idea of a distinctive flag for the community. He developed the project together with Michel Dupuis, Donald Obonsawin, and Yves Tassé. Jacline England, a student life secretary at Laurentian University, made the first flag. These actions were taken with the utmost secrecy. The promoters of the flag hoped for its adoption by all members of the community regardless of regionalism or political identity. There are two main factors explaining how the flag came to be first flown on September 25, 1975. Firstly, the proposal occurred in the wake of a movement for identity affirmation in French Ontario. The rupturing of French Canada following the Estates General (1966–1969) forced francophone communities to rearticulate their identities. 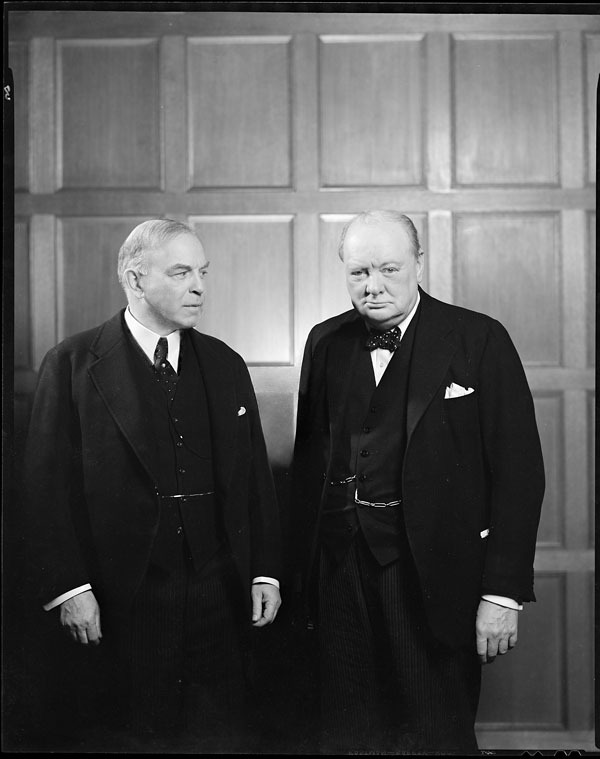 References to Franco-Ontarians began to take shape in connections with various political and artistic movements. In Sudbury, this momentum gave rise to a veritable “cultural revolution” that was characterized by the birth of several artistic organizations, such as the Éditions Prise de parole, the Théâtre du Nouvel-Ontario, the Galerie du Nouvel-Ontario, and La Nuit sur l’étang. 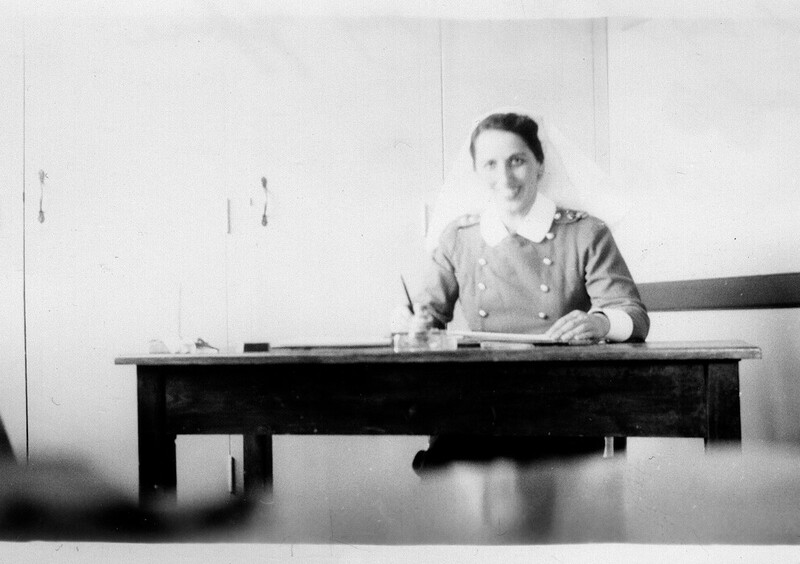 Secondly, the provincial government began to intervene more regularly in the life of this minority population. The creation of the Conseil supérieur des écoles de langue française (1972) and the Conseil des affaires franco-ontariennes (1975), as well as increased acknowledgement of French in parliamentary debates (1968) and in the functioning of the legal system (1975), are but a few examples. The flag is successful in representing a sense of belonging to Ontario. Its colours and the use of the trillium evoke the physical and symbolic domain of the province. While to some it signals the emergence of a new identity, historian François-Olivier Dorais, in his study on Gaétan Gervais, points out that “in the minds of its founders, the flag was meant not so much to affirm the formation of a new Franco-Ontarian identity, in rupture with what preceded it, as to adapt this identity to the contours of new social and institutional realities, without turning its back on the memory of French Canada.” This act, a largely conventional one, was in keeping with the political tradition of French Ontario, which sought to increase the autonomy of francophones. Similar to the flag proposed by the Fédération a decade earlier, it was rooted in history. The fleur-de-lys symbolizes not only the French fact but also its continuance since the age of New France. Studies by Stéphanie Saint-Pierre and Tina Desabrais suggest that the flag was not met with immediate adoption among the network of associations and community organizations. It was not until its official adoption by the Association canadienne-française de l’Ontario in 1977 that the symbol became more widely recognized. Flag raisings popped up in colleges and universities, such as the one at the University of Ottawa in 1983. Effectively, the flag came into popular usage thanks to the school system, especially at the elementary and secondary levels. It also became a symbol of unity in major political efforts. For example, it was flown in Penetanguishene during a struggle to secure funding for a francophone secondary school (1979) (see Ontario schools question). It was also seen during the SOS Montfort campaign in Ottawa to oppose the closing of the francophone Montfort hospital (1997–2001). The flag is flown on many occasions, especially during musical gatherings such as the Festival franco-ontarien (Ottawa) and the Franco-Fête (Toronto), and at other events associated with Saint-Jean-Baptiste Day (June 24). The flag is an integral part of monuments in the French-speaking community. In 2000, celebrations were organized across the province to celebrate the flag’s 25th anniversary. It was not until June 2001, in connection with the Saint-Jean-Baptiste Day celebrations, that the flag was officially recognized as one of the provincial emblems. This decision was made following a motion from the Member of Provincial Parliament for Glengarry-Prescott-Russell, Jean-Marc Lalonde. During the parliamentary debates, members acknowledged the lengthy history of the community and its attachment to the province. As the fate of the Montfort Hospital closing still sat before the courts, the adoption of the Franco-Ontarian Emblem Act was a symbolic victory for the opposition side. Despite this official recognition by Queen’s Park, certain municipalities balked at the idea of flying the flag in front of town halls. In 2003, the Sudbury municipal council refused to accede to a petition demanding that the flag be flown in front of the municipal offices. This decision was overturned in 2006. The emblem is now especially popular in cities along Highway 11 in the north of the province, where many municipalities are francophone or bilingual. Some, like the Member of Provincial Parliament for Thornhill, Peter Shurman, have viewed the flag as signalling a cleavage between the founding peoples. 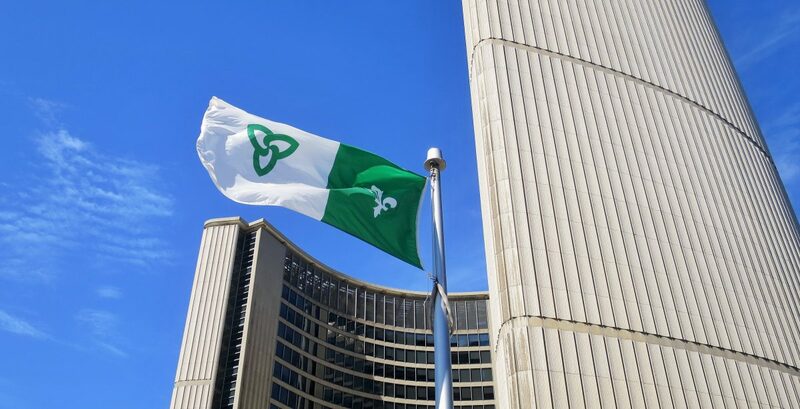 However, observance of the green and white symbol by Ontario’s political class has been virtually unanimous since the adoption of the Franco-Ontarian Day Act in 2010. Celebrated on September 25, in honour of the date on which the flag was first flown, Franco-Ontarian Day is part of the community’s symbolic recognition by the legislative assembly. The event is organized by school boards and the network of associations, with activities all across the province. Nearly 200 events took place in commemoration of the 400th anniversary of the French presence in Ontario (2015), including numerous flag raisings. The Franco-Ontarian flag also adorns a number of monuments and tourist sites such as the CN Tower in Toronto and Niagara Falls. On September 25, 2017, the Ontario Heritage Trust unveiled a historical plaque at the University of Sudbury celebrating the importance of the symbol. Guy Gaudreau, dir., Le drapeau franco-ontarien (Sudbury : ACFO du grand Sudbury et Prise de parole, 2005). Michel Gratton, Montfort : la lutte d’un peuple (Ottawa : Centre franco-ontarien de ressources pédagogiques, 2003). Franco-Ontarian FlagHistory and evolution of the Franco-Ontarian Flag from the Encyclopedia of French Cultural Heritage in North America. Drapeau franco-ontarienHistoire et évolution du drapeau franco-ontarien par l’Encyclopédie du patrimoine culturel de l’Amérique française. Franco-Ontarian FlagInformation about the Franco-Ontarian Flag from the Government of Ontario website. Drapeau franco-ontarienInformations sur le drapeau franco-ontarien du site Web du gouvernement de l'Ontario.